We are a leading Manufacturer of impact of ascending zodiac signs, jyotish shastra mein dasha phal siddhant, mystics of sarvato bhadra chakra and astrological prediction, predictive astrology of the hindus, the mystery of rahu in a horoscope and the play of planets in houses (two vols.) from Jaipur, India. How to analyse a horoscope in 3 minutes, suggested effective astral remedies specific for each ascendant, reason for miseries in the lives of natives born in Taurus, Virgo and pisces ascendants. We offer Jyotish Shastra Mein Dasha Phal Siddhant to our clients. In addition Sarvato Bhadra Chakra can be applied for determining the timing of rain, location and quantum of rain. 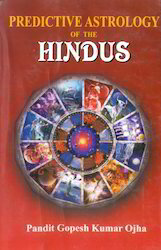 We offer Predictive Astrology of The Hindus to our clients. 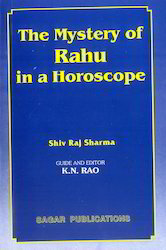 This book is an attempt to show the effects of Rahu in a horoscope. The book explain both types, the good and positive side of Rahu and the well known negative and destructive side of Rahu. Two unique dasa systems are discussed in a very lucid language. 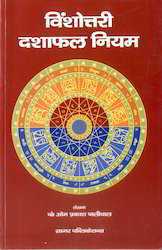 This is the only book in English on Kalachakra dasa system giving the correct dasa sequence, method of interpretation and the second cycle of Dasas.Yogini dasa, a favorite of pandits of Himalayan region, and Kalchakra dasa system when combined with vimshottari dasa makes timing of events a very simple affair. The role of Jupiter and Saturn is extremely important in analyzing the strength of the horoscope as Jupiter indicates the potential and Saturn tells the inherent energy which the person possesses to accomplish things in life. 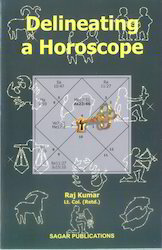 This is a book which would be useful for students as well as those advanced in the study of astrology. 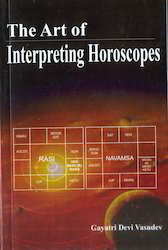 From the basics it goes into aspects and the impact of conjunctions, placements, Nakshatra and results due to conjunctions which have been explained in context to the Nadi system. 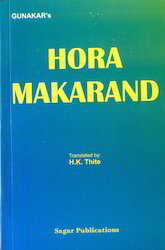 Hora Makarand seems to have been penned by the author with a view to synthesizing views of various earlier writers ranging from Parasara to Satyacharya and Vatahamihira needless to mention that in the historical chronology of writers on astrology, Varahamihira is most authentic and presents a both platform for further research and allows modifications of interpretations to suit the contemporary terms.And this text should be seen as another further step in this direction initiated by Varahamihira. 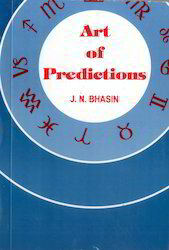 This book is of great value to the scholars of astrology as well as to the students as it has been composed after studying the work of great sages. This is the second book in the series and is very important. 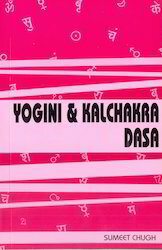 The book covers five hundred yogas such as Rajyogas, Dhanyogas, Nabhasyogas, yogas related to the Sun & the Moon, trikone houses, parivartan yogas, yogas for marriage & progeny.Yogas for penury, ayur and arishta yogas. Each chapter of yogas explains the importance of strength and time of fructifications through illustrations. 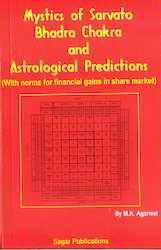 In this book the author has logically explained the predictive methodology that should be adopted in deciphering wealth and prosperity in a horoscope along with the quantum. 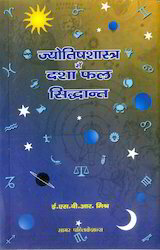 The notion that astrologers can unfold lives and reveal what waits at the next bend is a thought that comes to all and populist claims have inspired the author to come up with a series of books that will discuss the various aspects in astrology, putting together the research and findings by various groups and the experience gained during his journey. 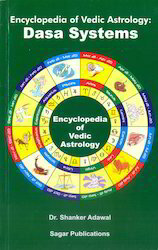 The purpose of the encyclopedia is an attempt to put a clear understanding of the process of astrology, taking into account the first basic principles and dealing with different topics. The encyclopedia which would consist of over eighteen books, is intended to be brought out over a period of two years. 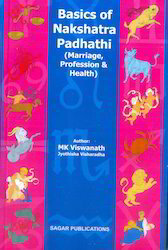 These would cover the basics in astrology and then go on to the predictive techniques, the nadi astrology, tajik, yogas, nakshatras, rectification of birth time, vargas, dashas, mundane prashna, muhurta, remedy and other aspects of interest. The advantage of this would be that both students and those who want to pursue research can progress the understanding of this science in a systematic manner. Also the complete set will be of great value to those in India and abroad who want to understand various levels and will give them the flexibility of dwelling into the complexities in a coherent manner. With the growing interest to learn this science in various countries, the readers there will find this series of books very useful. This is the first book in the series and is the most important. The foundation is based on the principles of basic astrology propounded by various schools of thought. 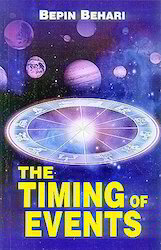 The book covers signs, their impact, the planetary impact in each sign, the role of depositors, details on each planet and their relationship when in aspect and in the divisional charts as also the complexities they can pose. 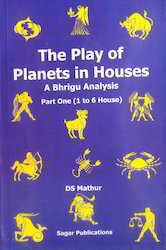 This book attempts at conveying that the basic importance has to be given to the planets, their placement and various relationship as a result of the same. The yogas, dasha, nakshatras etc. will be dealt in the other books that follow, but all have to be applied keeping in mind the first basic principles that are being enumerated in this book. 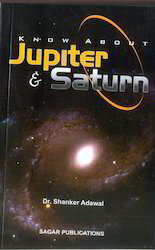 In this book the author has given a clear and complete presentation of essential facts of the various Dasa systems. 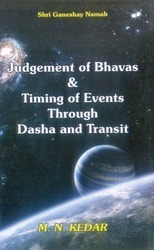 Effects of planets in Main Dasa, Antra Dasa upto Prana Dasa have been discussed. 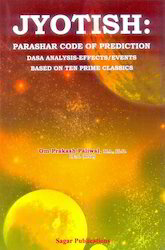 We offer Jyotish Parashar Code Of Prediction 2 Vols to our clients. We offer Astrology and The Hoax of Scientific Temper to our clients. 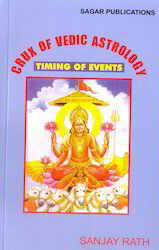 The vedic dasa system is the most potent predictive tool for an astrologer. 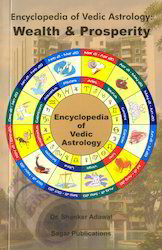 Vedic astrology has more than a hundred dasa systems with Vimshottari dasa on the lead and Panchaswara dasa etc. alomost forgotten. The golden key to deciphering the correct dasa for a chart is missing. 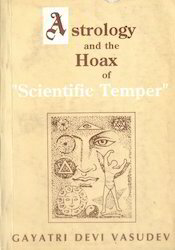 In this book the dasas have been classified and their basis of computation explained. 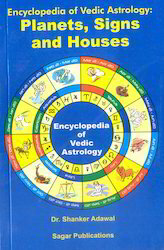 The astrological tools like Argala, Arudha etc.have been employed to bring forth their applicability, method of timing of events pertaining to sources wealth (including property, fortunes, vehicles) of income & loss, education (both, formal and informal, including intelligence research skills etc. ), Marriage (wedding or denial, divource, marital relations, loss of spouse etc. ), children (fertility, number of pregnancies, child, adoption, their future) co-borns (number, birth, good/bad), profession & career (Nature of job, achievements career graph Rajyogas, Dhanyoga etc.) And even spiritual attainments. Specific details on timing of death, renunciation etc. have been explained. This book is the first ever on Narayana Dasa. 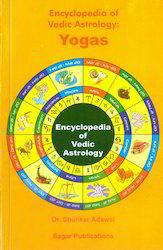 Starting with concepts that link the spiritual foundation of Hinduism to Jyotish, the author explains the basic principles of Vedic astrology including Argala, Arudha Pada, Chara Karakas, Strength of signs etc. The methodology of calculation of period of dasa, its order is followed by details on judgement of results and umpteen case studies. Varga Narayana Dasa (i.e. Use of Rasi Dasas in divisional charts) has been explained with illustration for each division. The use of this dasa in Mundane Astrology showing the beginning and end of USSR etc. And Narayana Dasa in Prasna and other charts. Lagnamsaka and Padanadhamsa dasa have been brilliantly explained with the underlying spiritual reasons, method of calculation and illustration. 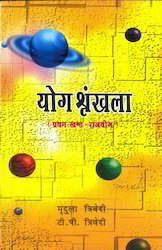 The two appendices on Pachakadi sambandha and Ghatak Rasi provide a ready reference for practicing astrologers. 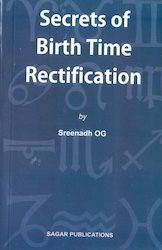 This is a book that tries to present all the available ancient birth rectification methods in a systematic manner. Most of the things the author has learnt about ancient Birth Time Rectification methods are included. 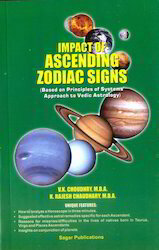 The information this book provides would be useful to the astrology students and scholars alike. The author has sincerely approached this subject and shared with you all what he could collect and understand. We offer The Art of Interpreting Horoscopes to our clients. 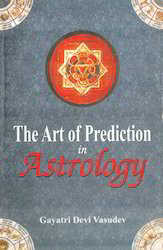 We offer The Art of Prediction in Astrology to our clients. To fix the possible time of happening of an event in the life of an individual is a difficult matter. Vimshottari dasa is a commonly used tool to do it. Parashar has given several dasas but he has himself expressed his view that of all dasas Vimshottari is the most suited one for our times. 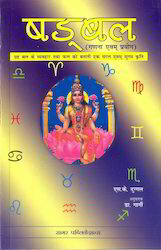 It is a very commonly used dasa among astrologers today. It is essential to be clear about the principles involved and about the practice of those principles. These principles are universally applicable. The dasa gives astoundingly correct results when applied strictly according to these principles. The author has stated the principles very clearly. 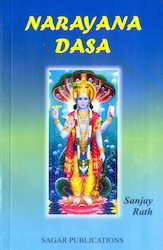 The reader will realize the ease with which this dasa can successfully be used when it is applied according to the principles stated in this book. A very large number of real life charts have been analysed in the book to clarify the few principles that are involved. We offer Art Of Predictions to our clients. We offer Astro Sutras to our clients. We offer Judgement Of Bhavas to our clients. We offer Kalsarpa Yoga Sodh Sangyan to our clients. 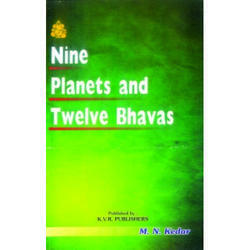 We offer Nine Planets And Twelve Bhavas to our clients. We offer Role of Nakshatra to our clients. We offer Shadbala Gana Av Prayog to our clients. 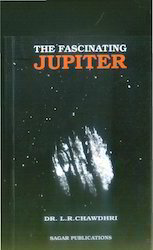 We offer The Fascinating Jupiter to our clients. 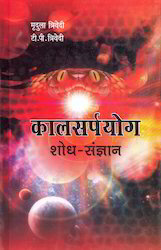 We offer Vinshottari Dashaphal Niyam Books to our clients. We offer Delineating a Horoscope to our clients. 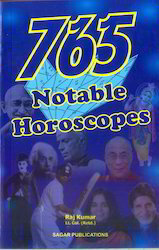 We offer 765 Notable Horoscopes to our clients. 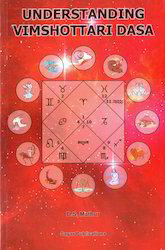 We offer Aspects in Vedic Astrology to our clients. We offer The Timing of Events to our clients. We offer Yog Shrinkhla Two Vols to our clients.